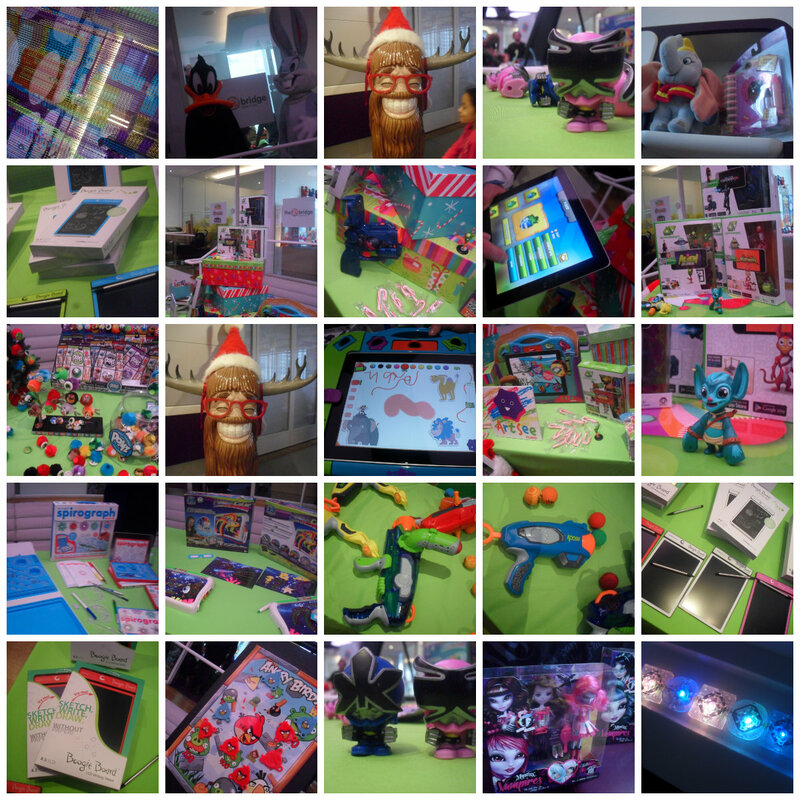 The Big Toy Book’s Biggest Day of Holiday Play Event Recap! I love toys, and a few weeks ago I was lucky enough to take Juliet (my little sister) to The Big Toy Book’s Biggest Day of Holiday Play event! Together, we both got a sneak peek at the hottest toys that are hitting the shelves. As a 90’s child I was thrilled to see the presence of a few old school toys – of course they’re all re-imagined to accommodate the taste and lifestyle of the modern child. 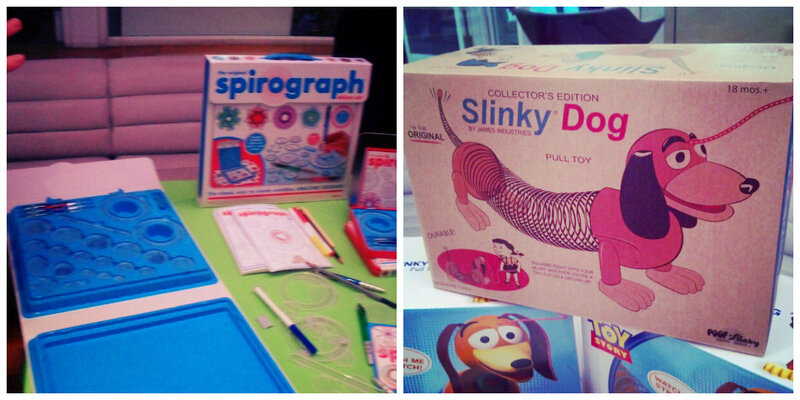 But the purpose of toys like the Spirograph and the Slinky will always remain – and it’s to have fun! Some of the awesome toys that Juliet and I got to get our hands on to try were Hex Bugs – which I featured on The NYC Talon’s 2012 Holiday Gift Guide! In fact, both my little brother and sister received HexBugs for Christmas (they had an awesome sale in Target, so Santa couldn’t help himself *wink, wink*). 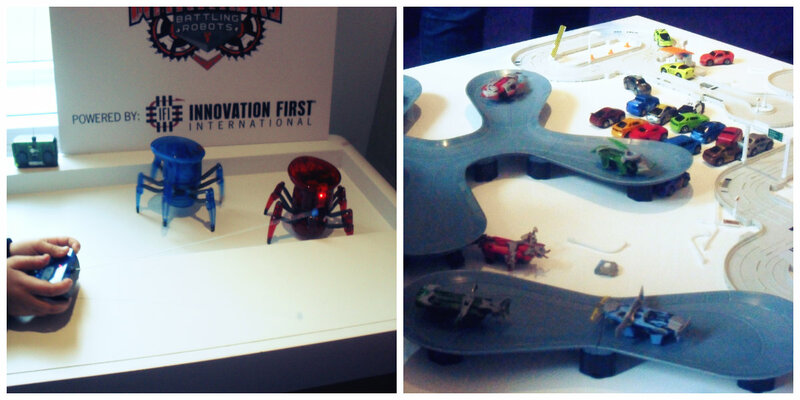 I just love HexBugs, they’re just so much fun – and completely reduce me to a nine year old kid again. Lite Brix was definitely one of the popular toys at the event. Personally, I’ve noticed how increasingly popular light up or glowing toys are amongst kids. Juliet loved playing with them, and was dying over their “super cool light up guitar” that Lite Brix had bought along for the event. One of my favorite toys, which I had never heard of up until TBTB BDH event was the Boogie Board – which apparently means that I’ve been living under a rock or something. 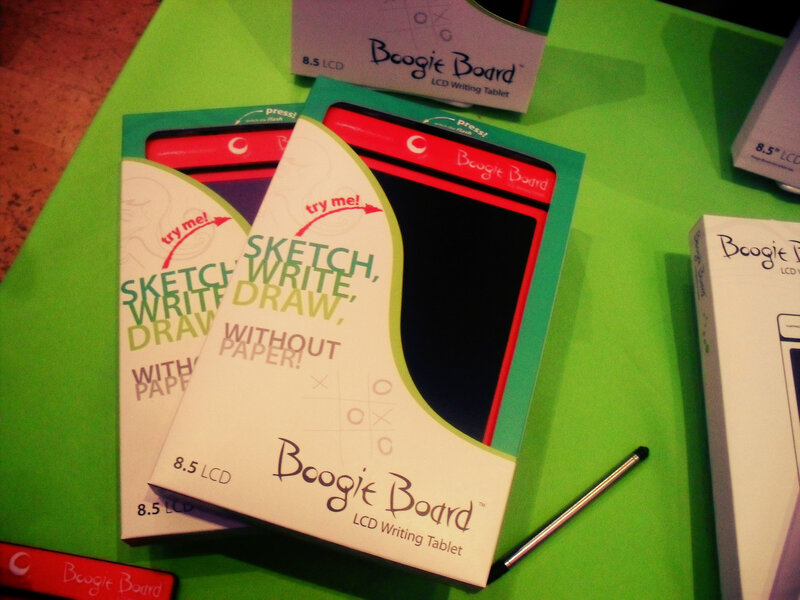 I’ve been telling everyone about this super useful, fun toy – and during Christmas break I mentioned it in passing to one of my grandmother’s and she was like “Yeah, I love the Boogie Board! I’ve had it for a while; I use it to write down item numbers when I watch the home shopping network”. So much for being “in the know” lol! Koosh was also super popular – the kids LOVED playing with them! But I think the adults loved them even more – their one of the toys that appeals to “kids” of all ages, which I love. Products like the Slinky, Spirograph, and Teenage Mutant Ninja Turtles were complete throw-backs for me. I loved seeing them there alongside newer lines like AppGear, Tech4Kids, ArtSee Studio, and FlyLine RC (who are one of the awesome sponsors for The Dragyn’s Lair and The NYC Talon’s #Tweetin13 twitter party!). Juliet spent the majority of her time though with the folks from The Bridge Direct – she now wants everything she saw in that suite especially the Waverly and the Magic Seashells line, Glo Glo Inkoos, and Looney Toons stuffed animals. Meanwhile, I absolutely loved the Annoying Orange dartboard. She loved the Hello Kitty Shoulder Buddy one of the super nice ladies from The Bridge bestowed upon her, she insisted that I instagrammed it (you can see it here)! We had a complete blast – and I have successfully solidified my reputation as one of the coolest sisters ever! * All opinions presented here belong to The NYC Talon and are not influenced in any way. I did not receive compensation for this post. I did receive a gift bag at the event, for more info please see my PR tab above.